Prominent jurist and head of Julian Assange’s legal team Baltasar Garzon told RT that the US has been secretly conducting an investigation into his client and WikiLeaks, arguing that those implicated in crimes should face legal action instead. Garzon, a renowned human rights judge who sat on Spain’s central criminal court and once indicted Chilean dictator Augusto Pinochet, said in an interview to RT Spanish that while Sweden dropping charges against the WikiLeaks co-founder is a welcome step, the main threat to his freedom comes from Washington. 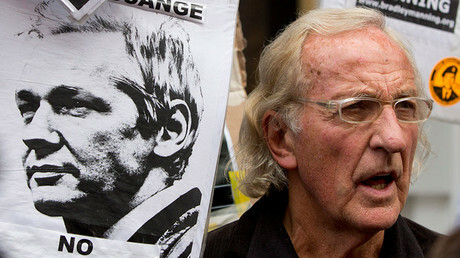 “He [Assange] is satisfied, but, in his own words, the war only begins now. We understood that Sweden was merely a tool in the fight against the freedom of speech. This [role] is the main occupation of the US,” Garzon said. Assange’s legal team has been preparing to use all means available to gain the upper hand in a possible legal battle, including UN resolutions and international law “in the hopes that this country, despite all its power, admits that neither Julian Assange, nor WikiLeaks, nor freedom of speech advocates are to blame for its woes,” Garzon said. The ones who should be “investigated and persecuted” are “those who were exposed by WikiLeaks,” he said. Not much is known about the clandestine proceedings allegedly underway in Virginia, Garzon said, noting that all the scant data they managed to obtain was received through information leaks and that they continue to be in the dark about the status of the proceedings. “Since 2010, the US has been carrying out a secret investigation against Julian Assange and WikiLeaks for revealing secret materials, for the fight for the freedom of speech and information,” Garzon said, adding that as far as he is aware, no charges have been brought against his client at this point. 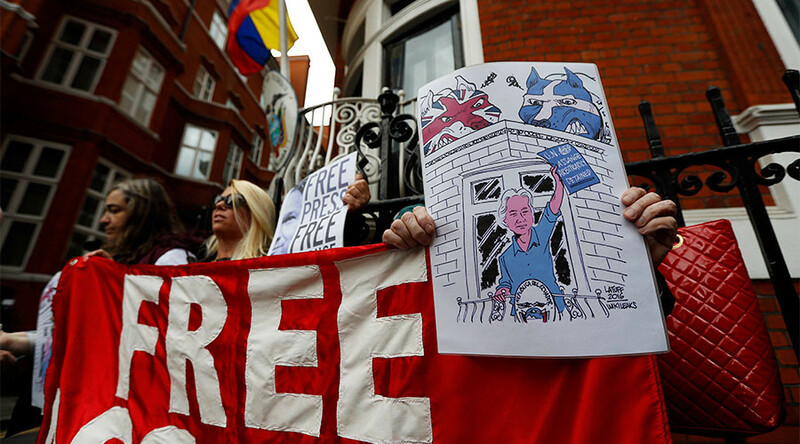 As for the UK police warning that Assange would be arrested for failing to surrender to the British courts back in June 2012, Garzon believes it only serves as a pretext to limit his freedom of movement, barring him from leaving the embassy. “I believe that it is against the law, because he did not breach any pre-trial restrictions. He was on the embassy’s territory, because he was granted political asylum. He obtained refugee status. That is to say, this situation goes against the law,” the lawyer said. He went on to say that the British police failed to inform Assange that this sort of proceedings had been opened against him during his five-year stay in the embassy. “I believe that Ecuador’s protection is a priority at the moment. Neither court, nor police have any proof of Julian Assange’s guilt. He must be permitted to leave immediately,” the lawyer said, adding that the British government appears to be eager to bend the law instead of following it in the case of his client. 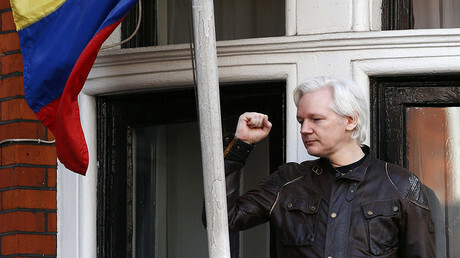 Garzon said that the legal team is prepared to go to great lengths to enlist the support of the UN, the government of Ecuador, and even the UK government in order to end Assange’s self-imposed exile in the Ecuadorian Embassy in London. At present, however, no timelines can be set. “Frankly speaking, we don’t know yet,” he said. On Saturday, a documentary titled Hacking Justice about the legal battle for Assange was presented at a film festival in Barcelona, featuring Baltasar Garzon as the chief protagonist. Filmmaker and cinema historian Clara López Rubio, who directed the film and has been following Assange’s story for the last five years, told RT they made the film because it was “very important” for the freedom of speech and the freedom of information. “It was really a great opportunity to be present in a case that is very important for the future of the freedom of speech, for the freedom of information. That was the reason why we made the film,” Rubio said, adding that she hopes the defense team will emerge victorious in the long run. Since the Swedish prosecutors dropped the charges against Assange, it is time to shift focus on “what really matters… the US investigation that is taking place now,” Rubio said.